What Happens When a Bond Defaults? What Happens When a Corporate Bond Defaults? 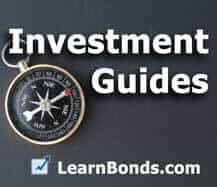 Bond defaults happen when a company stops paying interest on a bond or does not re-pay the principal at maturity. Unlike treasury securities which are considered risk free because they are backed by the full faith and credit of the US federal government, corporate bonds default on a regular basis. When a company defaults, the government is under no obligation and is unlikely to rescue the company. What happens to bond holders when a corporate bond issuer defaults? Typically, companies file for bankruptcy protection prior to a bond default. If a company defaults without declaring bankruptcy first, then creditors are likely to force them into bankruptcy. US companies can file for bankruptcy either under Chapter 7 or Chapter 11. Here is an overview of each. Under Chapter 7 bankruptcy, the company ceases operations and goes out of business. The courts will have to first determine that reorganization and recovery is neither realistic nor worthwhile. The court then appoints a trustee whose core responsibility will be to liquidate all company assets and ensure the proceeds are used to pay outstanding claims. Since a chapter 7 bankruptcy inevitably implies the sale of company assets, there is a stark difference between a company with hard assets and one with intellectual capital in the form of employees. Hard assets can be sold – great employees, no matter how good, cannot be sold and are an intangible ‘asset’. There is no timeline as to when bondholders will receive payment as it all depends on the speed of asset disposal and whether any funds remain after creditors have been paid. Payments to bondholders may be distributed in several stages as assets are sold off. Its not unusual for the process to take from 1 to 3 years before the last payment is distributed. The Trustee is however expected to communicate with bondholders and keep them up to date during the process. Chapter 11 bankruptcy is more widespread, as well as being costly and complex. In a nutshell, Chapter 11 bankruptcy allows the business to continue operating shielded from recovery actions from its creditors. All major business decisions must however obtain approval from the bankruptcy court. The company is reorganized in order to return to profit and normalcy in operations. The debt must, almost inevitably, be restructured. Both the Chapter 7 and Chapter 11 bankruptcy are likely to leave corporate bondholders with some loss. Under Chapter 11, corporate bondholders no longer receive principal and interest payments just like the shareholders will no longer receive a divided. As soon as the reorganization plan has been agreed upon by the company’s management, it is made known to creditors including bondholders. The plan outlines the creditor’s rights, and what they can expect to get once the reorganization is complete. Bondholders may be issued with new stock or a combination of stocks and bonds in the restructured corporation in exchange for their bonds. The new securities are often fewer and are of lower value than the defaulted bond. No two bankruptcies are ever the same so the exact course of action in the event of a Chapter 7 or 11 will vary. Does the bond still trade when a company goes into bankruptcy? Yes. In most cases when a bond defaults and goes into bankruptcy, the bond’s price is at a very steep discount to the face value of the debt. Most investors will not buy the debt of bankrupt companies. Specialists called distressed debt traders, nicknamed “vultures” because they pick on the carcasses of dead companies, will determine the value of debt. In the case of chapter 7, they value the company based on how much they think the assets of the company are worth, and how long the sale of those assets will take. For chapter 11, the evaluation is much trickier as the legal wranglings will have a major impact on the value of debt.